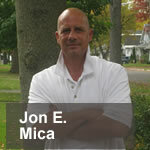 Jason Hartman talks with Jon E. Mica, a writer and the father of a son who has been diagnosed with autism. Jon is author of “The Autistic Holocaust: The Reason Our Children Keep Getting Sick”, a book that accuses the federal government of refusing to acknowledge it as such and having a corrupt and morally unsound relationship with “Big Pharma.” First noting the dramatic rise in cases of autism in the United States since the 1970s, Autistic Indifference then discusses the rampant misuse and dangers associated with vaccinations. Additionally, the book argues that the Center for Disease Control has lied to the American public by presenting inaccurate data on annual flu deaths and, along with the Vaccine Safety Datalink, has buried damaging research on the perils of vaccines.